Work - or- "Repair" Solders are lower gold quality than the type stated on the solder. It is recommended for use in old repairs where karat standards are not required. For new goods we recommend using only plumb solders. 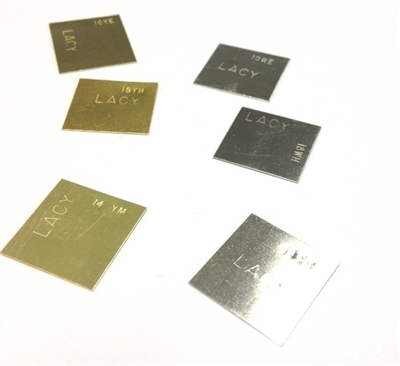 Solders are supplied in 1 gram pieces. PRICES ARE SUBJECT TO CHANGE, WITHOUT NOTICE, DUE TO FLUCTUATIONS IN THE GOLD MARKET.